At least they weren’t ‘Feel the power of Canberra’ ones. Wow! we too feel the power of Canberra :)! 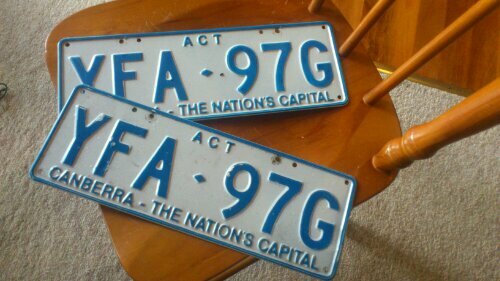 “Feel the power” almost as stupid as Queensland’s “Smart state” plates.